BECOME A SUPPORTER, PARTNER, OR SPONSOR! The KINDL – Centre for Contemporary Art is a venue for presenting and producing international contemporary art in Berlin’s Neukölln district. 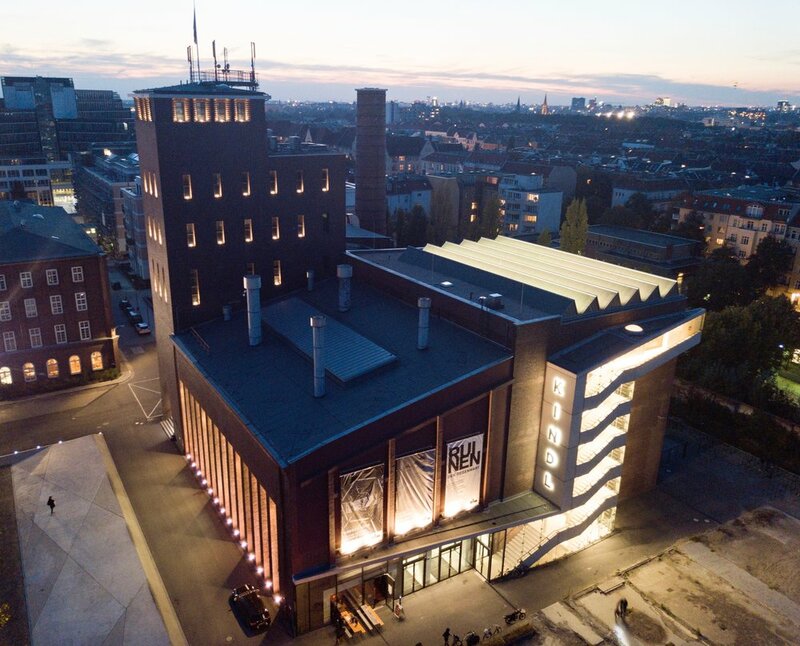 Thanks to the dedication of the founders and owners Salome Grisard and Burkhard Varnholt, in the former brewery complex an exhibition programme is being realised whose impact is felt far beyond Berlin. As a place for engaging with the public, the KINDL also acts as a catalyst in the dynamic environment of north Neukölln. The KINDL offers an ambitious program with several major exhibitions a year, a supporting programme of artist talks, lectures, and concerts, as well as educational activities for children, young people, and adults. We depend on the help of supporters and partners to ensure that this diverse programme can be maintained and expanded in the future. The KINDL works as a non-profit organisation. This ensures that all the revenues flow directly into the exhibition programme. Support the KINDL – Centre for Contemporary Art as a lively and diverse exhibition venue and a catalyst for new ideas! There are many opportunities for companies to support our exhibition and education programme as partners. We are happy discuss various options that best fit your needs. Would you like to help us maintain and develop our exhibition programme and educational offerings? We would be delighted to have your support as friends, sponsors, and strong partners.